Nike offers a range of running shoe and walking shoe options that fit the needs of most of the athletes and regular walkers. But the fact is that each and every shoe from this brand comes with certain specialties that cater to the needs of people having different requirements. So the key to getting all the benefits is to choose the perfect one that fits your foot needs and routine use. 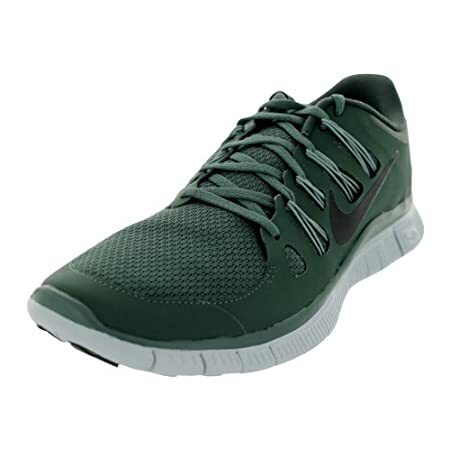 This Nike Men’s free breathe synthetic running shoe is one of its kind as well due to its enormous capacity to maintain a good air flow and also offer the perfect fit for narrow feet posture. To get to know this shoe better following are some in-depth details you must know before deciding on it finally. Since it is an original Nike shoe, all the materials match to the international quality standards and will keep up with the expectation of the user. The upper, the insole, the outsole and the lace-up vamp, all of these components make sure to give the best fit and long-lasting performance. The upper of the shoe is designed to give a perfect sporty look that consists of mesh fabric as well as synthetic overlays to keep up with the shape and flexibility that is required for keeping the foot comfortably fitted inside. The mesh upper offers a breathable surface for a comfortable inside and also assure comfort and support to keep the foot away from getting pressured from the outside. Though, the shape is a bit sleek and low profile which suits narrower feet better. Since it’s a low profile shoe, it offers a snug fit around the foot so that to avoid slipping or tuning within the shoe while running. The asymmetrical lace-up closure assure high-end fitting without exerting extra pressure on the foot as it has enough padding on the upper and the surrounding walls. The insole is reasonably padded though it is not too heavily filled, but offer support and cradling for the foot. The insole also assures to keep the foot in its natural posture as much as possible. It may seem less thick as compared to bulkier shoes. The full inner mesh-made sock lining assures a sock-like fit for a comfortable fit and helps in easy usage. The outsole is made up of high quality, durable and flexible rubber with a well-designed pattern for increased stability and grip on the ground. The rubber used in the making of the outsole offers safety and stability and allows the foot to carry on its gait cycle in an easy way without exerting a lot of pressure. It is flexible and allows the foot to keep up with the quick moves while running. The shaft of the shoe is around 2.7” which offers an easy posture for those who need low-end comfort. In addition to that, the diagonal design on the arch gives a perfect ability to the sole to bend and flex as per foot moves for easier and stronger gait. The outsole has been given the best design that assures better flexibility and allows greater traction on the ground. The shoe offers slip-free support on a range of ground levels and texture to keep the user free from hazards. The mesh fabric upper and the inner sock-like lining keeps the inner of the shoe well-aerated and breathable and allows a comfortable experience no matter how much you have to run or walk. The collar, tongue, and the footbed comes with reasonable yet less bulky padding so that foot stays comfortable without increasing the mass of the shoe from the inside. The shoe has been designed to offer comfort and support and also offers durable and long-lasting performance that would not decrease early. Most customers have rated the shoe with 4.3 stars on average and has shared their experiences with the shoe quite happily. Though there are some people who have found the shoe a bit shallow and narrow for their use it fits great if you have narrow feet and need a snug fit shoe to keep you intact with the ground. The shoe has been rated as a great shoe that offers grip, comfort, breathability, and support for keeping a good foot posture. All in all this Nike Men’s shoe offers some of the best features most people or athletes look for when they have to run or practice for hours. Most probably, durability and a comfortable fit, are the two most important features they need but other features like breathability, support, and traction on a wide range of ground types also matter a lot. It is better to look for the shoe that offers enough support and space for the foot to keep up with the continuous gait cycle and to support the changes in the foot posture depending on the foot impact and forces applied to it during the whole running span. This one works fine for narrow feet or you may have to look for a bigger size if you have a bigger foot but make sure to check if it suits your needs. Otherwise, the shoe caters to the needs of regular runners and walkers without compromising on the level of comfort and support. Check Price and See Reviews on Amazon Now!